My recent post on the Bourjois Colorband Ombre Eyeshadow & Liner in Mauve Baroque went down really well, which is great considering I have so many more to share with you! Today is all about the blue toned dark grey shade which has a wonderful silver glitter base - Gris Graffiti. My first immediate comment will be that I am not entirely sure what the correct name to this crayon is. Superdrug says Gris Graffiti, Boots says Grid Graffiti, I thought it was Girls Graffiti.. Who knows? Either way it is shade 6 so lets stick with that. "High pigmentation colour that lasts 24 hours! Its soft, creamy texture glides on for an effortless blend of colour with the precision of a liner. The long-lasting waterproof formula won't crease, smudge or fade. Available in 6 different easy-to-wear shades, perfect for day-to-night glamour." 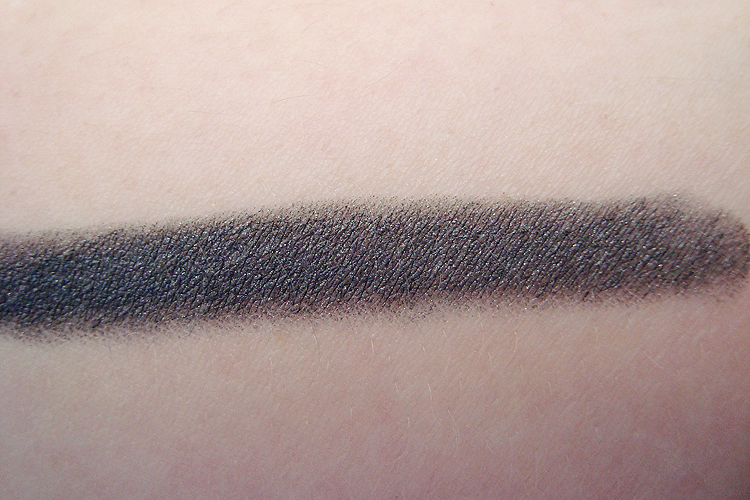 Once again, the Bourjois Colorband Ombre Eyeshadow & Liners are likened to the ByTerry Ombre Blackstar Cream Eyeshadows. Whilst the previous shade I have tried, Mauve Baroque, is considered a dupe for the ByTerry Ombre Blackstar in Misty Rock, I don't think Gris Graffiti can be considered a dupe for any of the Ombre Blackstar range. 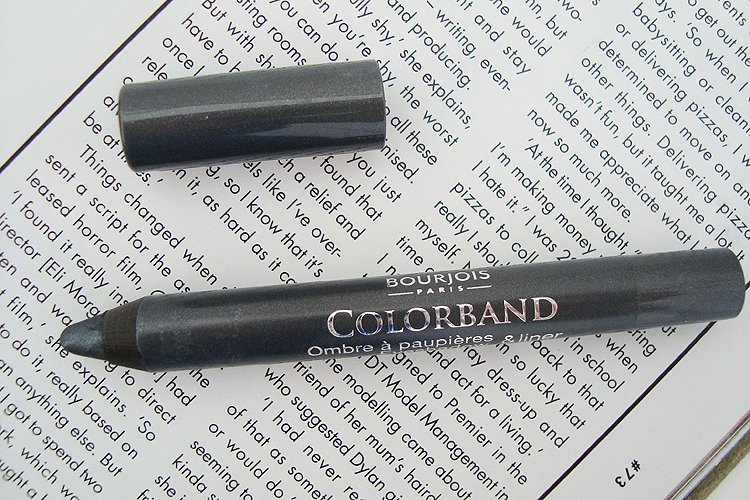 You can wear the Bourjois Colorband Eyeshadow & Liners either on their own or as a base for another eyeshadow and they perform brilliantly for each task. Each Eyeshadow & Liner is designed to last on the eyes for 24 hours whilst remaining waterproof and crease-free and once again, they live up to their claims. 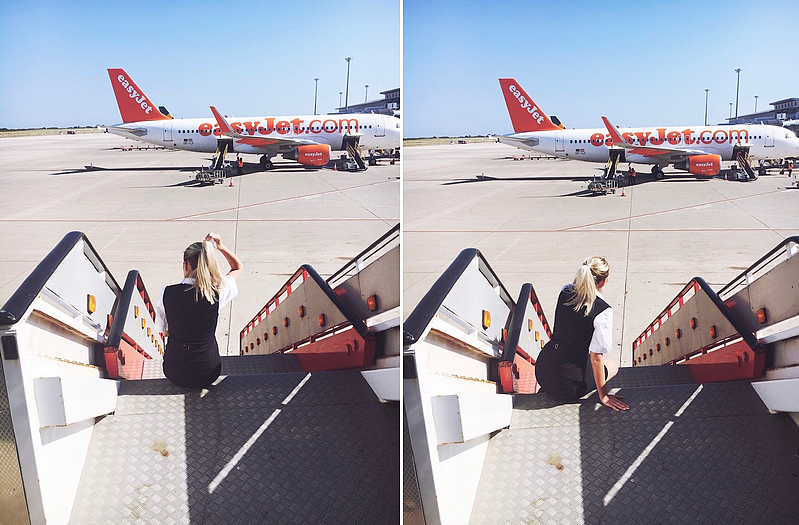 The giant crayon makes it so easy to apply, either as a full-on wash of colour on the eyelids or as an eyeliner. If you are wanting to apply the crayon as an eyeshadow you should be aware that the formula sets very quickly so you have just a few seconds to buff it out with either your fingers or with a brush as once they are on, they are on! They do not budge, crease or transfer at all and they most definitely live up to their waterproof claims. Just like Mauve Baroque, I also wore Gris Graffiti on its own without a primer to see how well it would last without a primer and it lasted all day long without wearing or creasing which is amazing considering I have oily eyelids. In fact, they last so long that you need a bit of a good scrub to get them to come off so you definitely cannot knock their longevity. I am so, so impressed with the Bourjois Colorband Ombre Eyeshadows. The only one down side would be that you do have to sharpen them which if done slowly, ensures you don't waste any product in the sharpener. I have to remind myself of this as I can get a bit carried away when it comes to sharpening! They work just as brilliantly as eyeliners too as the tip of the crayon ensures you can get a definite, precise line on the eyelid and on the waterline. 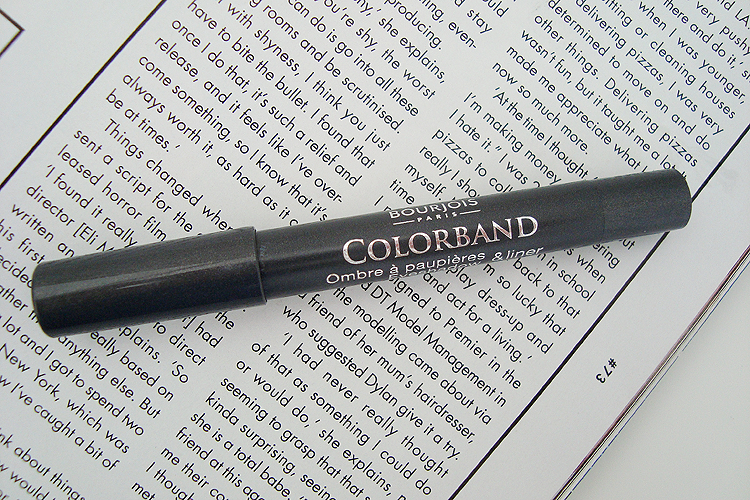 For £5.99, the Bourjois Colorband Ombre Eyeshadow & Liner's are worth every penny. They are definitely a dupe for the ByTerry Ombre Blackstar Cream Eyeshadows which, at £29 each, don't come cheap. If you were looking for an affordable cream eyeshadow come liner, then look no further! Oh this looks like a great product actually for a lovely and easy smokey eye. 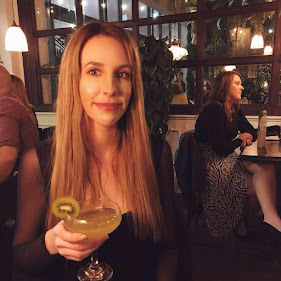 I've never actually tried any eye makeup from Bourjois, I probably should!